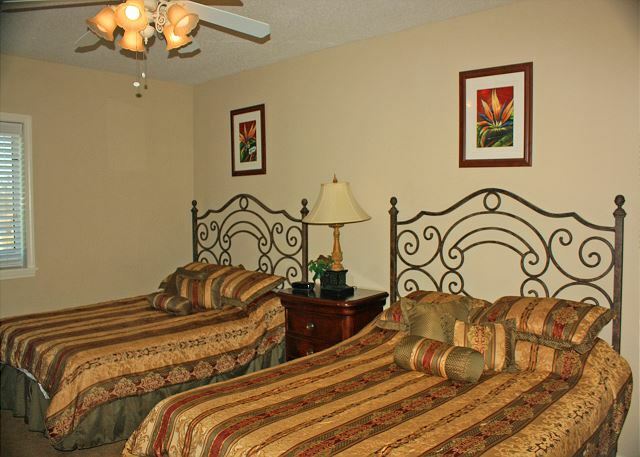 Your reservation includes all bed and bath linens, beds freshly made upon arrival, and departure cleaning. 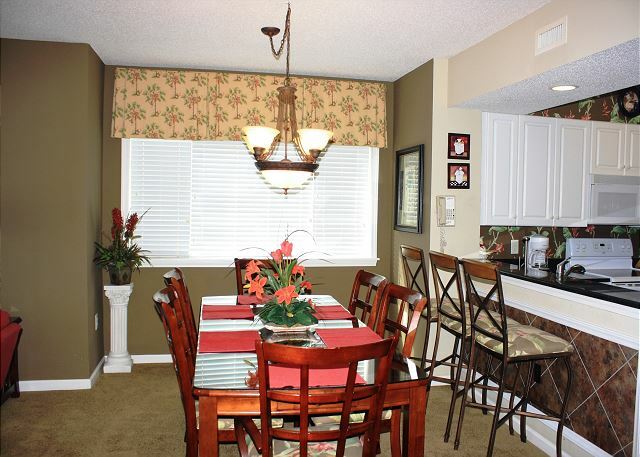 This spacious (2000 sq ft) 4 bed/3 bath end unit has an upscale decor with granite throughout. 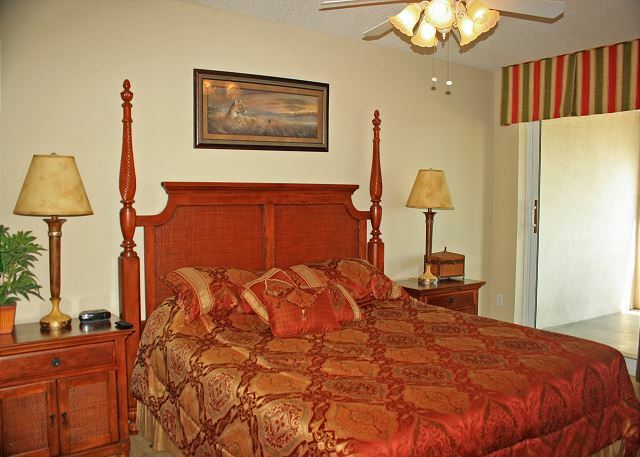 Bedding is 1 King + master bath, 1 King + full bath, 1 Queen with private balcony, 2 Queens with shared full bath. The views are fabulous from the 3rd floor covered veranda, either thru the master or the family room. 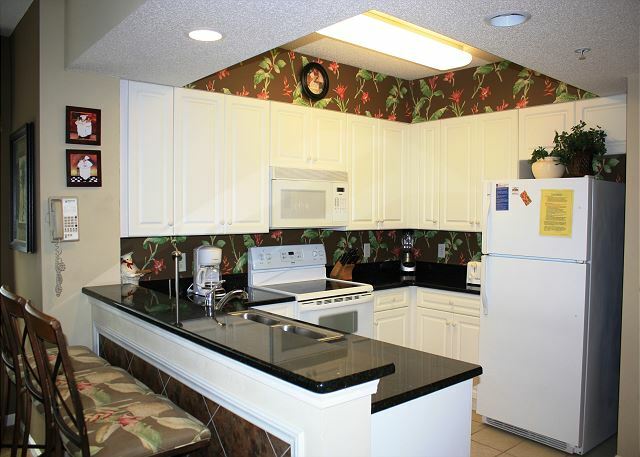 Kitchen: fully equipped with full sized appliances, granite counter tops, breakfast bar seating for 3, pots & pans, abundant dishware, glasses, wine glasses etc. The open floor plan allows full views from throughout all of the space, the kitchen, dining, and living room areas. 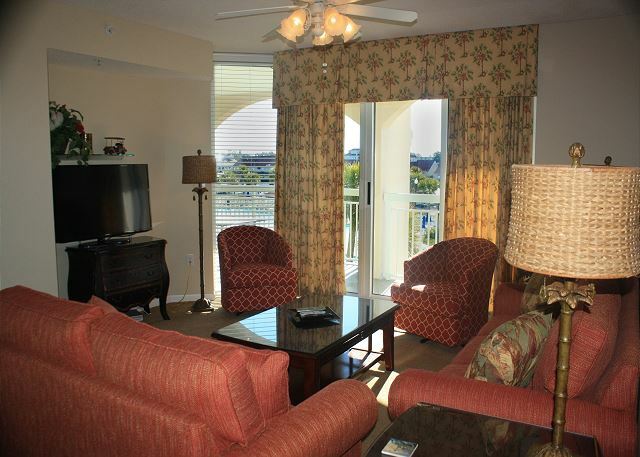 And easy access to the balcony with fantastic views of the Intracoastal Waterway, main resort pool, and marina and shopping center. The night views will WOW as much as the daytime views. Golf at the BareFoot Resort's world class championship courses (Dye, Norman, Love, Davis). Also choose from over 70 additional courses on the Grand Strand, a true golfers paradise. This is a 5 Star Vacation Resort for golfers, beach lovers, families and a wonderful place for kids. 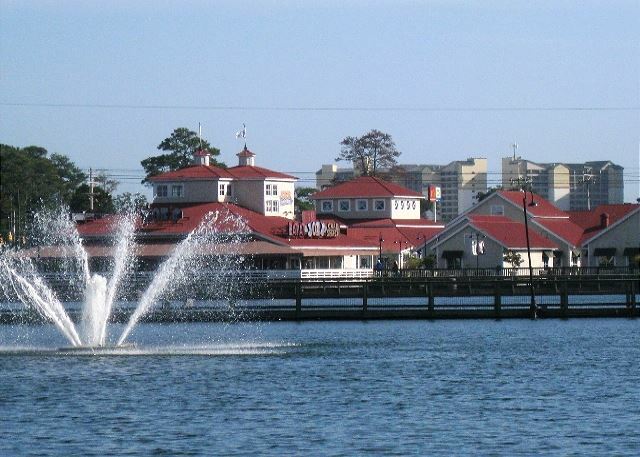 Some of the best shopping (over 100 shops), dining and nightlife (Alabama Theater and House of Blues) awaits you a short stroll across the historic bridge to Barefoot Landing. The rental agency was excellent to work with before, during, and after our stay. 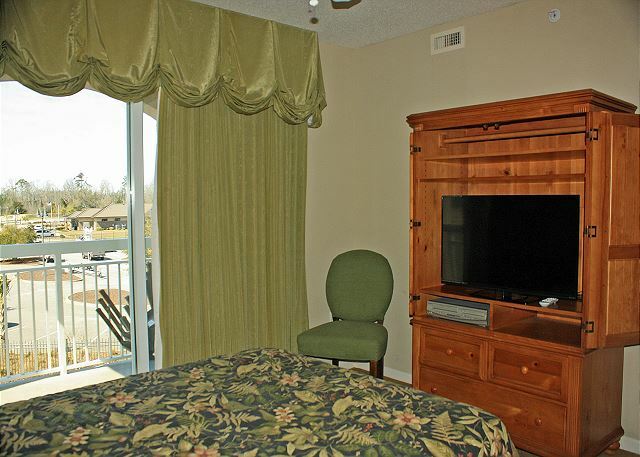 We were in town for a National's baseball tournament and stayed for a week in this condo. The only thing that was in question was the quality of the washing machine. It totally could have been the red dirt we encountered at the ball fields but the pants would not come clean. I still give this condo a thumbs up because I am not sure if it was the dirt or the washing machine. Thank you for giving us an "excellent" shout out! We do work hard to get such great reviews. 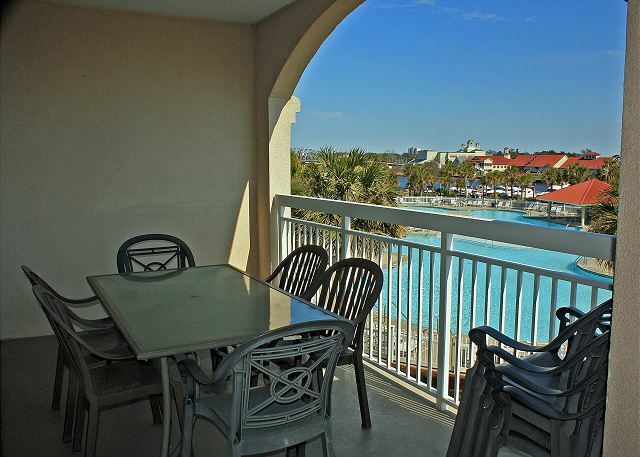 North Tower at BareFoot Landing is the perfect resort style stay for groups, teams and families that come to town for special events. 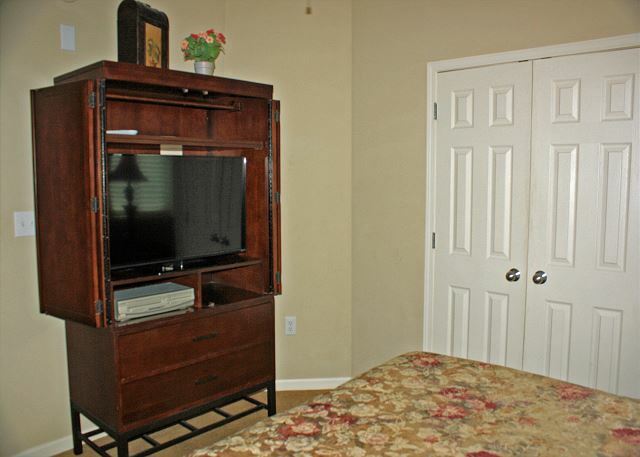 There are great amenities to enjoy just steps from your door, when your time is stretched from ball fields, and basketball courts here at the local sports complexes. 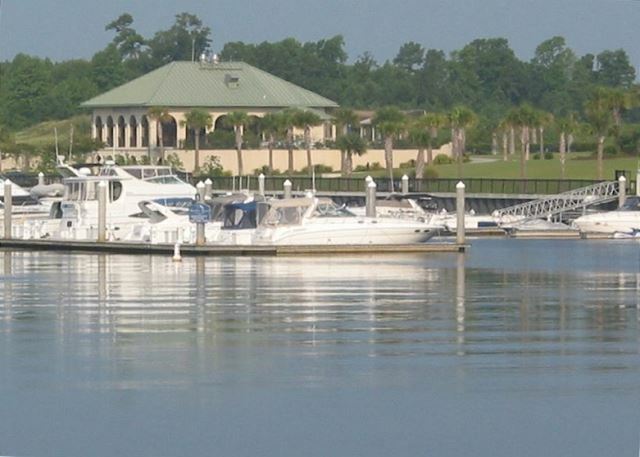 The residential complex offers a giant salt-water pool and large hot tub by the marina, while the commercial side offers waterfront dining, shopping and kids entertainment as well as live music venues for adults. Plenty to please the entire crowd in your group. Thank you for choosing to stay with us and fingers crossed you will be our guest again. Everything was wonderful. From the time we arrive to check in until our departure. Will definitely beck next year. Well those first three little words -- "Everything was wonderful" -- certainly means a lot to us at ODVR and the owner of the North Tower Resort condo. It's important to have happy travelers visiting our great little town and leaving good reviews so that others will choose us for their vacation plans. 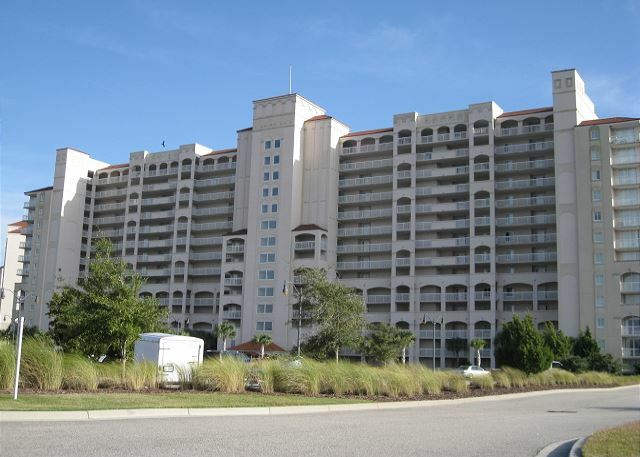 You did not elaborate on the great location or amenities of staying in BareFoot Landing, but said just enough to make a positive impression for those who are not familiar with the area. Thank you again and we look forward to seeing you next summer. 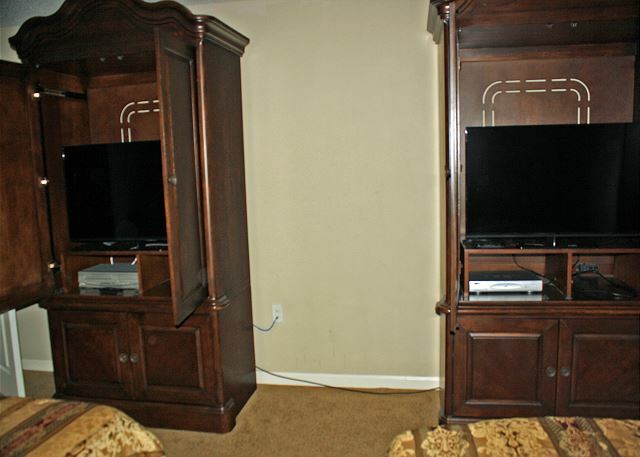 Good location and very spacious. 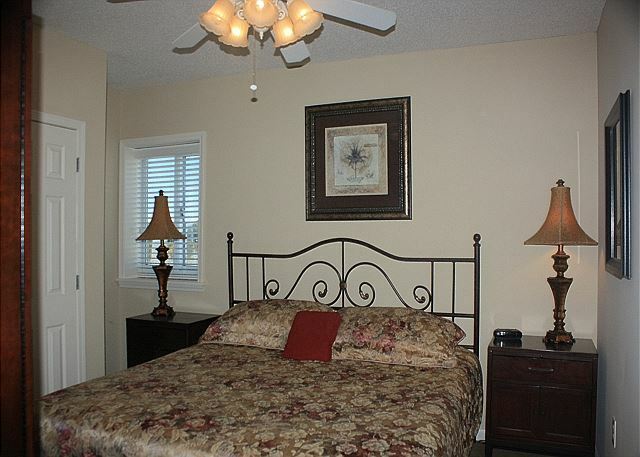 Overall a good location and spacious. Carpets could use a good cleaning, there were many stains. Also could use some smaller pots for cooking. Could use a new washer and dryer, Dryer squeals while tumbling. Fridge was adequate but could be updated. Thank you for staying with us. and thank you for the feed back, we are addressing each issue with the owner. We are glad to hear that you have a good time and I see that you have booked already for next year. We look forward to your return. We had a wonderful visit in Myrtle Beach. The condo had plenty of room for all of us (there were 7 of us). The beds were comfy and the bathrooms were big. The balcony had a great view of the pool and waterway. We were also able to watch the fireworks from the balcony. The condo was close to everything! The pool on the property was beautiful and perfect for my 6 year old and the older ones too. It was always clean and no deeper than 4 feet. The beach was less than 5 minutes away and it was clean and beautiful! Thanks for a great stay at a great condo! 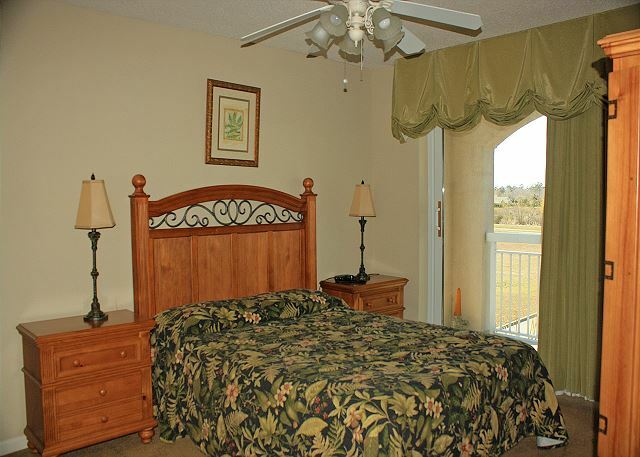 We at Owner Direct Vacation Rentals are so happy to hear that you enjoyed the condo. 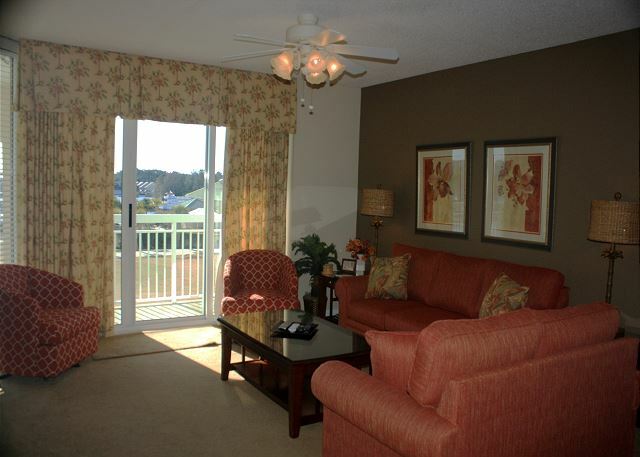 The North Tower @ Barefoot Resort is a great place to stay! 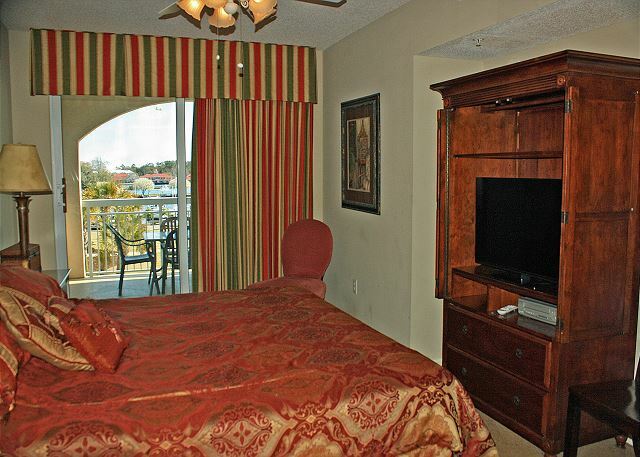 The condos are very spacious and the views of the Intracoastal Waterway are so relaxing. Watching the fireworks from the balcony in the summer is definitely an added bonus. 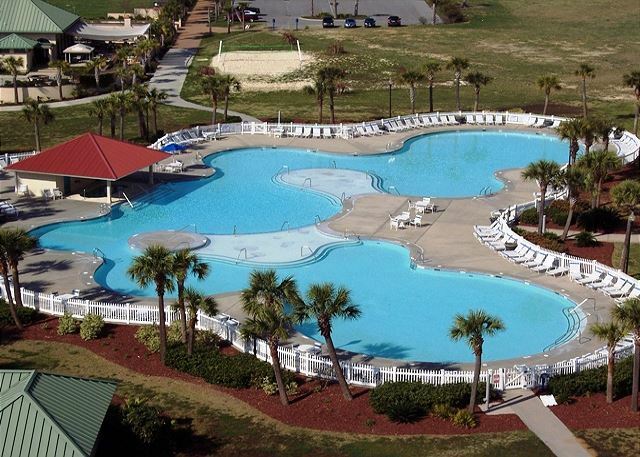 North Tower does offer the largest saline pool in South Carolina and it's only a short drive to the beach where there is plenty of free public parking. 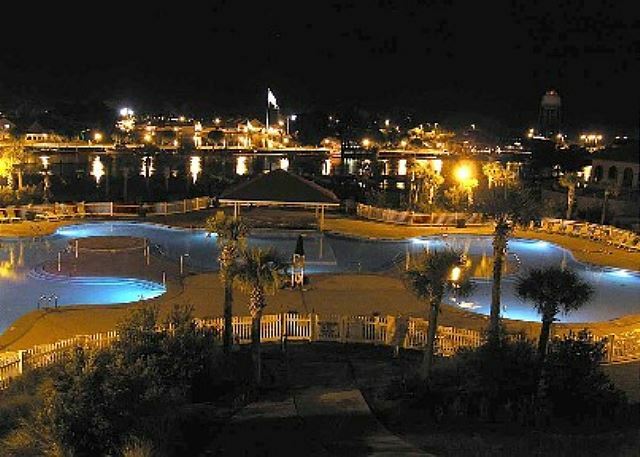 Thank you for staying with us with this vacation and make sure you give us a call to book your next North Myrtle Beach vacation. Any issues that came up where rectified immediately. 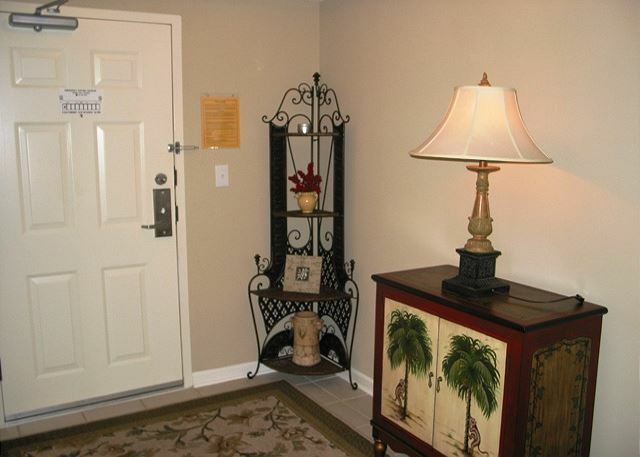 The unit was well furnished, clean and very comfortable. The 3 minute drive to the beach worked perfect. The only downfall was inadequate heating system. We found it unresponsive in the cool temperatures of Jan & Feb. Other than that, we would highly recommend this unit. Management staff is excellent.